A lively discussion at a local watering hole, Ponaks (which nearly straddles the border between Kansas and Missouri), was initiated by an employee who said, “I heard of a guy who got know a DUI on a bicycle.” Several bystanders chimed in and I decided to take a closer look. The law of Biking While Intoxicated (B.U.I.) differs from state to state. As reported in this Blog recently, Louisiana, Mississippi, and Texas all take different approaches. Kansas Statutes KSA 8-1567 enunciates Driving under the influence of alcohol or drugs. In section (a) it states that, no person shall operate or attempt to operate any VEHICLE (emphasis added) under the influence. So what is a vehicle? KSA 8-1485 defines a vehicle as a device that transports person or property. Sounds like a bicycle, doesn’t it? Not so fast. The statute excepts electric personal mobility devices(scooter), or devices moved by human power, or if on rails. Some racers might not seem human but nevertheless, if human powered then it’s not a vehicle. However, in City of Wichita v. Hackett, defendant cyclist Hackett was charged and convicted of riding a bicycle while intoxicated. An appeal was taken to the Kansas Supreme Court. In 2003, the Court upheld the conviction which was based on an ordinance of the City of Wichita, which made such conduct unlawful. States make traffic codes. Cities typically have their own which mirror state codes. Here, the City of Wichita had a traffic law which seemed to expand the state statute. The Supreme court said the city ordinance did not impermissible go beyond state standards, and affirmed the conviction. So State law says one thing, local law another. Back to the state line. Missouri Revised Statutes, RSMO 577.010 makes intoxication a crime when operating a MOTOR (emphasis added) vehicle. I see no application to bicycles since they are nonmotorized. As a bicycle accident lawyer in Missouri and Kansas, I do not recommend or endorse any one biking while intoxicated, but it is interesting that there different legal landscapes in depending on where you are riding. Particularly if your favorite pub straddles two different legal jurisdictions. This article, Bicycle Accident Lawyer researches law of B.U.I. 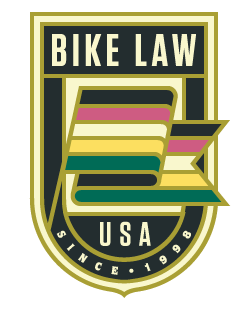 in Kansas and Missouri, was originally published on Bike Law on May 27, 2014.